Why Is Hillary Clinton So Unhappy? Why is Hillary Clinton so unhappy? According to her, when she and her husband left the White House, they were dead broke. 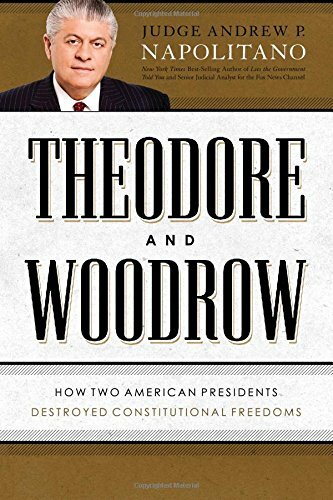 Yet they left with a truckload of valuable furniture, dinnerware and flatware that was the property of the federal government, for which they were never prosecuted. They also left with contracts for lectures and speeches worth between $20 million and $30 million in the ensuing years. And they have done quite well financially. According to The Washington Post, between the time Bill Clinton left office in 2001 and January 2013, when Hillary Clinton stepped down as secretary of state, Bill alone made $104.9 million for speeches, and Hillary’s standard speaking fee is $200,000 a pop. Why is Hillary so unhappy? We can start with the fact that she is her own worst enemy. No Republican dirty trickster could have put her into the legal and political mess into which she has put herself. 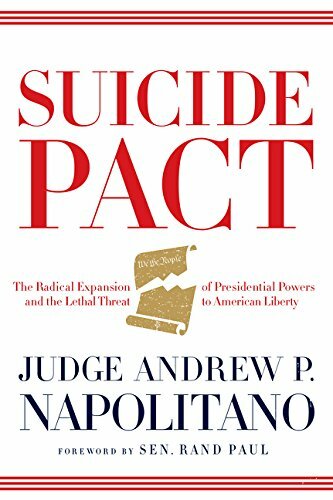 Her surreptitious refusal to Suicide Pact: The Radi... Andrew P. Napolitano Best Price: $1.01 Buy New $3.50 (as of 06:35 EDT - Details) follow federal law and her congenital lying about it have caught up with her. By using her own computer server instead of the government’s in the four years of her tenure as secretary of state, she knowingly compromised the national security of the United States. She did this by receiving and sending at least 400 emails that contained information that under federal law was confidential, secret or top-secret, which is a felony. The failure to preserve data of that nature is a federal crime, whether it is stamped with an official secret denomination, whether one has read it and perceived its secret nature, and whether it has fallen into enemy hands or not. Gen. David Petraeus was convicted of retaining the printed versions of secret and top-secret data in a desk drawer in his guarded home. It was alleged — but not proved — that he shared this data with one of his subordinates. Even though the subordinate had a security clearance, Petraeus was prosecuted. In Hillary’s case, the data have fallen into enemy hands, as one of the folks to whom she regularly sent her emails — in utter and reckless disregard for the secrets they contained — was her political adviser Sid Blumenthal, an employee of the Clinton Foundation at the time. Blumenthal’s insecure server was hacked by Romanian intelligence agents, who were convicted and sentenced to prison. Then The New York Times blew the lid off this by revealing her exclusive use of her private server, and the same federal judge angrily ordered the State Department to get its hands on Hillary’s emails. Then she revealed that she had erased 30,000 of the emails, which she said were personal. After that, she surrendered the printed versions of another 30,000 emails, which she characterized as governmental. When the judge — who had been appointed to the federal bench by Hillary’s husband — looked at what the State Department had turned over, it did not seem complete to him; crucial months were missing. So he ordered Hillary to swear under oath — “under penalty of perjury,” as he put it — that she had surrendered all governmental emails in her possession. She did so swear in a document now made public. Then the House Benghazi Committee subpoenaed Blumenthal’s emails, and its investigators discovered governmental emails Hillary sent to him that she had not surrendered to the State Department, even though she had sworn that she had. Why is Hillary so unhappy? She is unhappy because she realizes that she needs a criminal defense lawyer to deal with the FBI investigation of her while she is running for president. The FBI is looking to see whether she failed to protect national security secrets (espionage), whether she destroyed government emails (obstruction of justice) and whether she lied under oath about all this to a federal judge (perjury). 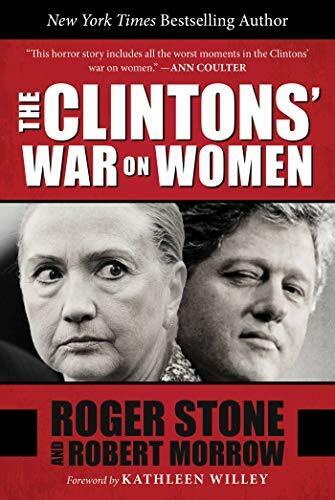 The Clintonsu2019 War ... Roger Stone, Robert Mo... Best Price: $1.31 Buy New $5.60 (as of 10:55 EDT - Details) She is unhappy because she has repeatedly characterized her own behavior as “allowed at the time,” which flies in the face of the law and is simply incredible. It was allowed only in the depths of her self-justifying, narcissistic mind. She is unhappy because the FBI has discovered that it can retrieve the emails she thought she destroyed and that her server was directly connected to the Internet, making it and the secrets she stored and transferred on it vulnerable to attack. She is unhappy because she was hacked — we do not know whether successfully or not — by the Russians, the Chinese and even the Israelis. She is unhappy because she got caught in a scheme of her own creation. I suspect she is about to become even less happy when evidence of why she did this comes to light. I suspect that evidence will soon be made known that will demonstrate conclusively that she and her aides were part of a criminal conspiracy to enrich the Clinton Foundation by unlawful means — including moving levers of governmental power — and thus enrich her and her husband. And she is unhappy because the FBI will soon be asked to investigate that. She is unhappy because only Democratic die-hards believe her. She is unhappy because voters will not elect an unhappy person as president — and she knows that. Do You Have an Everyday Carry Kit?